HomeBlogAre you and your toothpaste compatible? 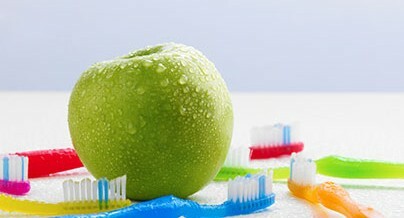 Even if you brush with the most basic of toothpastes, it is better than brushing with water alone. Technically, any type of toothpaste can be viewed as “anti-cavity”, but specific brands may wield more fluoride than others to help remineralize teeth and prevent decay. Depending on your dental situation, your dentist may prescribe a particular anti-cavity toothpaste, but there are countless options available over the counter. For added assurance, simply look for the ADA seal on the packaging. Anti-cavity toothpastes may be the best bet for those who are looking for general maintenance of their oral health or those who have had extensive dental work and need to prevent further decay. If your teeth are sensitive to extreme temperatures and/or easily irritated by certain foods, this type of toothpaste may give you the relief you need. Toothpastes specifically designed for sensitive teeth can help protect and strengthen weakened tooth enamel using blocking compounds such as potassium nitrate or strontium chloride. For those who go this route, it’s important to note that it may take several weeks before you notice any results. 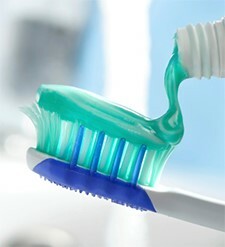 To speed up results, dentist recommend spitting out toothpaste when you are done brushing, but don’t rinse with water. People who suffer from gum disease may require toothpaste with added tartar control properties to help combat excess plaque buildup. Instead of one bacteria-fighting agent, tartar control toothpastes may use multiple ingredients to combat the problem, from triclosan to pyrophosphates and zinc citrate. Taking advantage of this type of toothpaste can help slow buildup, but if a significant amount of tartar (hardened plaque) already exists, removal will require a professional cleaning. Yellow and/or stained teeth can become visibly brighter with the help of a whitening toothpaste. Compared to basic toothpastes, whitening toothpastes tend to have more abrasive particles and other special stain-fighting compounds that lift particles off the teeth and give them added polish. While it’s completely safe for everyday use, this may not be the best choice for those experiencing tooth sensitivity, as certain whitening ingredients may exacerbate the condition. Keep in mind, whitening toothpaste will not have the same results as whitening gel. Once you’ve narrowed down your search, trial and error may be the most practical way to find the right toothpaste for you. Don’t be afraid to test out products, and check with your dentist for specific recommendations based on your dental health.